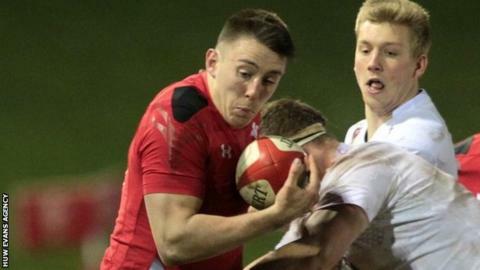 Wales Under-20 wing Josh Adams is to leave Scarlets' academy to join English second-tier club Worcester ahead of the 2015-16 season. He is "disappointed" to be leaving the west Wales region. "The Scarlets have been very good to me over the past two-and-a-half years so hopefully Worcester will be just as good," said Adams. He would not rule out a return to Scarlets or another Welsh region in future. Worcester are currently in the four-team Championship play-off to determine the one team who will be promoted to the Premiership. Adams says he had interest from other English teams and from France, adding: "Worcester was my favourite option, really." Scarlets told BBC Wales Sport they "won't be making any comment at this stage" on Adams' future.